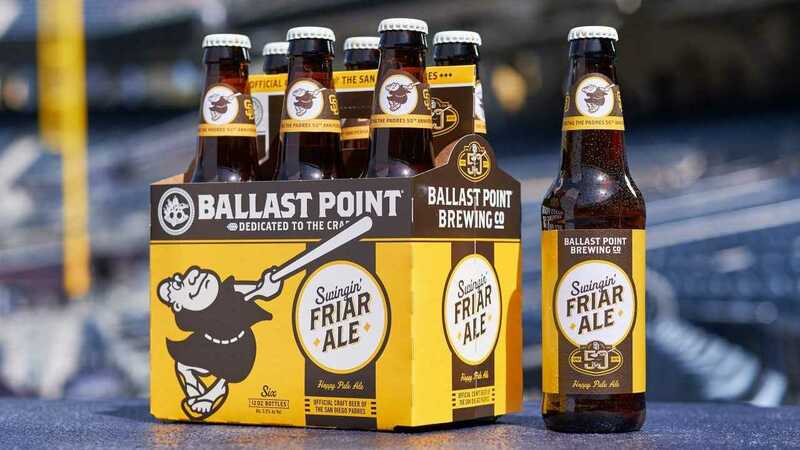 GUEST BLOG / KGTV NEWS--The San Diego Padres and Ballast Point Brewing Company are toasting the team's early success in 2019 with a new brew called Swingin' Friar Ale. The Padres unveiled the beer Monday at the brewery's Miramar location. Swingin' Friar Ale is an exclusive beer to honor the team’s 50th anniversary in America’s Finest City and will be available through the season. The Simcoe hopped pale ale has aromas of grapefruit and citrus complemented by a crisp, biscuity finish, Ballast Point said. Even before the first pitch, the Padres are reporting the earliest sell out for Opening Day, Mar. 28, in recorded history, with All Star Manny Machado generating excitement for the team. SAVE THE DATE: San Diego’s craft beer industry will be celebrated at BeerFest on Friday, May 11 at the ballpark. Ticket holders can enjoy beer specials for $5 and live music in Park at the Park.